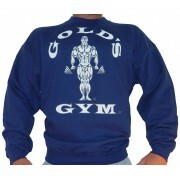 A gym sweatshirt has a roomy chest area tapered toward the waist to fit a bodybuilder. Workout tops have elastic in the lower edge, neckline, and cuffs. 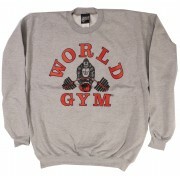 The bodybuilding sweatshirt fabric is a 90/10 cotton/poly blend. 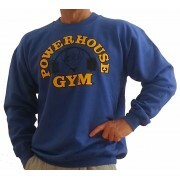 Gym sweatshirts ship same day.